Dentures Liverpool: Experience Liverpool’s Premier Denture Centre: Are you feeling self-conscious about your dentures? Or maybe you feel they’re holding you back from enjoying your life to the full? If you have a number of missing teeth and want to be able to eat, chew and speak properly again then it’s time to think about cosmetic dentures. Here at Smileworks we’re constantly amazed by the amount of people we see who’ve been living with poorly fitting, badly made or poor quality dentures that cause them pain, discomfort and make them look and feel older than they are. If you’re feeling self-conscious about your dentures, they’re causing you pain or discomfort or they’re not stable and firm then you need to stop worrying about it and start thinking about taking action to get your smile and your life back. What are dentures or 'False Teeth'? Dentures (also called false teeth or prosthetics) are an extremely popular way to replace all or some of your missing teeth. They are designed to look and function just like the teeth you lost and must look perfect but also be hard wearing and tough. Here at Smileworks we have many options and can make dentures from advanced materials to have them look just like the teeth you lost or even better. Leaving gaps following a dental extraction or accident (traumatic extraction / evulsion) is always something that you can choose to do if you wish. However, it’s not advised for a number of reasons. The first is the teeth either side of the gap will tip into it and cause problems with your bite. Then there’s the problem with bone loss. Where no forces are applied by the root of the tooth, bone levels will decrease and cause problems. You can read more about this on our dental implants page. Although dentures will not help with bone loss, a partial denture will prevent the teeth either side of the gap from tipping inwards. 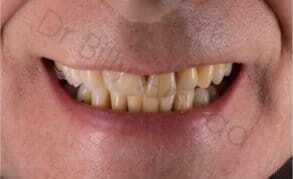 There are some great advantages to having replacement teeth compared with leaving gaps. Here at Smileworks we frequently get told by our denture patients that their dentures have literally changed their lives – and that their new teeth have brought them renewed confidence and a better lifestyle. Dentures can also help you look healthier, and can keep your mouth in tip top condition even if you’ve lost all your teeth. Another benefit is that cosmetic dentures help keep facial muscles from sagging and can restore your youthful appearance. This is something that requires a great deal of skill to get right, and here at Smileworks we are masters of facial anatomy and facial aesthetics and will create dentures that restore your youthful looks and function exquisitely. We don’t just make dentures here, we positively impact our patients lives, helping you eat, speak and laugh with confidence. Wonderful professional practitioners at Smileworks, very friendly and caring, my dental treatment is affordable and stress free, highly recommended, i would never go anywhere else. There’s much talk online about different types of dentures and people asking the question, ‘which are the best dentures on the market?’. This is not really the right question to be asking. The only types of denture are either full or partial. This means either all of your upper or lower teeth or some of them. Dentures are made from either acrylic or sometimes ‘cobalt chrome’. There is nothing that means either is better than the other, they are just used in different circumstances. There are special materials available to us such as high-impact acrylic and light-weight acrylics that will improve the function of the finished piece. The difference-maker with your dentures is your dentist and the laboratory that they use to create the dentures. The process of diagnosing a patient, taking the required measurements of their anatomy and also using a master denturist to create the final product is half the battle. Also having a great relationship with your denture centre and dentist is very important because the process does not stop when the dentures are finished and there is often fine tuning that needs to be done before the results are perfect. The entire process can take up to five weeks. The first step is your assessment. You can make an appointment for a denture assessment with Dr Billy. His fee is £40 for the initial consultation. 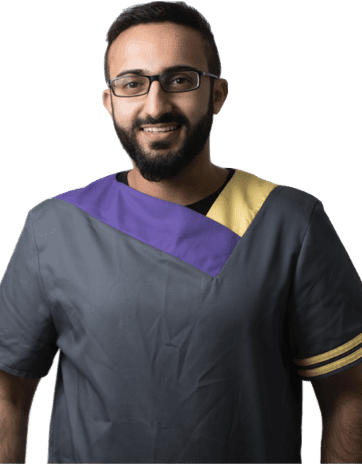 Dr Billy will answer all your questions about your particular situation, take some diagnostic x-rays and give you a treatment plan outlining the full cost of treatment. Should you choose to go ahead, he will be able to begin the process at your first appointment. The steps are as follows: First, there is the primary assessment and treatment plan. This happens at the first consultation. Primary impressions – these must be sent to the laboratory to be analysed and for the lab to make special personalised trays for your second set of customised impressions. This process takes about a week. Once the special customised impressions come back, your dentist can make precise measurements and run diagnostic tests to determine how the final denture teeth will look. This is where you can choose to have them ‘Hollywood perfect’ or precisely like the teeth you lost or somewhere in-between. 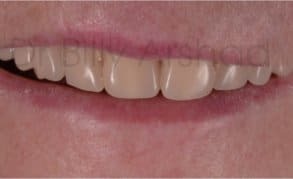 In fact, Dr Billy can make your teeth look any way you choose and many patients bring in photos of themselves or others and choose to have teeth that look like the photos! Following creation of the final denture there will be a try in and minor adjustments may be made to the denture. Following this, review appointments will be made to make sure that everything is perfect. The cost of your denture can depend on a huge range of factors such as the state of your mouth and existing teeth and the materials that your new denture is made from. Remember you can get dentures on the NHS but the average cost of private dentures in the UK is around £1000-£2,000 for a full set per arch. The cost of partial dentures also depends on the materials used and how many teeth the denture is required to replace. A single tooth partial denture can cost as little as £150 whereas a social six partial denture can cost almost as much as a full set depending on the materials used. Remember that you are the only one who can tell whether there is a problem. You must not suffer in silence but instead make an appointment to come and see your dentist. There are rarely problems that a good dental team cannot fix and you are in the safest of hands here at Smileworks. Here at Smileworks we believe that every person should be able to enjoy the simple pleasures of life. 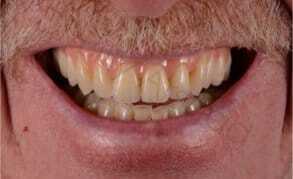 Your dentures should help you do this and not cause you problems. Patients who need dentures or who have dentures that don’t fit properly often complain that they cannot enjoy the foods they like or the fun and society that comes with eating a great meal with friends or family. You need dentures that fit correctly in your mouth and you need a dentist who understands the interplay between the bone and soft tissue – and one who can create dentures that last a long time and keep you comfortable and happy. You need a dentist who listens to you and who will do their utmost to make sure you are happy with your new dentures. This can take time, and at Smileworks we are with you every step of the way. Smileworks would never recommend you get any dental treatment abroad. This includes your dentures. If you’re considering cheap dentistry abroad then take a look here for more information. The process of planning, creating and fitting dentures takes time and no matter what the dental tourism websites promise you, there is a significant likelihood that you will need to make multiple visits to wherever you have chosen to fly to for your treatment. Recent advances in materials science and the recent recession mean that cosmetic private dentures are no longer outside the price range of an average Liverpool individual. Gone are the days that it can be cheaper to go abroad for dental treatment and the UK is as competitively priced as any European country for similar products and services. If you have had treatment abroad and are struggling or suffering complications then you must contact the NHS non emergency line by calling 111 and not Smileworks. We will simply not be able to help you because we cannot be responsible for patients who have undergone unregulated treatments. Should I use denture fixative or glue? 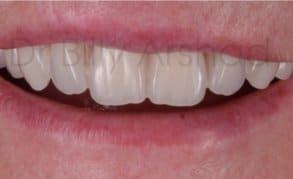 Many patients find that denture fixatives help them get used to their dentures and gives them more confidence when they eat or speak in social situations and specially when the dentures become worn. What’s the difference between the NHS and going private? For private dentures materials can be used that may appear more lifelike. Lab technicians are able to spend more time creating your private dentures creating a result that matches your old teeth and suits your smile. How long will my prosthetic last? 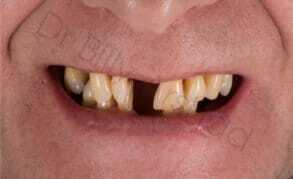 Dentures can last a very long time if looked after properly. They are made of high quality durable materials so that you should be able to smile with confidence for many years. Can they look just like my old teeth? Yes, a talented denture technician will be able to set up denture teeth to make them look extremely lifelike and resemble closely your natural teeth, even though they are made from acrylic or porcelain. Dentures are made from porcelain or acrylic and cannot be whitened. However you can choose the exact shade that you want and have your teeth like your old ones or as white as you like. Some people find it easy and others will struggle a little. Generally the better the fit the quicker people will get used to them. A talented and dedicated prosthodontist will make a huge difference in this regard. Dentures replace your teeth, so if you take them out you’ll have no teeth. So you wear them when you need teeth. Dentures are like goldfish. They have to be in water. This can be in your mouth or in a glass. If you leave them out of water they will shrink and warp. Will they make my face look different? A well constructed set of dentures will reproduce the facial features that you are used to and support the soft tissues of your face. If you want to look and feel younger, why not take a look at our facial aesthetics page. Will I be able to eat, sing and smile while wearing them? A well designed and constructed set of dentures will greatly improve your quality of life including eating, singing in the choir, speaking and smiling. 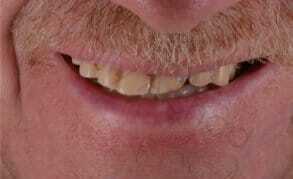 My top denture its fine but bottom one is loose. What should I do? Upper dentures are retained by using suction to the palate whereas lower dentures rely solely on a the alveolar ridge of bone to prevent them from moving side to side. With increasing age, the bone of the lower jaw recedes more rapidly causing lower dentures to drift from side to side. Can I get them fitted as soon as I’ve lost my teeth? Yes. These are called temporary dentures. They are temporary because after the tooth extraction the bone that supported your teeth remodels quickly and this can result in the denture becoming loosely fitting in a short space of time. Replacement is required usually at around six months. What if i’m young and have had an accident and need a denture? After accidents dentures can be made very quickly if needs be. These can include horse riding, cycling accidents, car accidents, sports injuries or interpersonal violence. All the same techniques and rules apply to young people and your dentures will be lifelike and flawless. Dentures will not prevent the bone around the extracted teeth resorbing over time. This means the longer you wear dentures, the more costly and complex implant placement may be. Dentures may cause irritations, thrush and may be difficult to get used to at first. Every medical or dental procedure has risks attached to it. These will be discussed at your appointment. Which dentures are the best? Smileworks dentures are the best you are likely to get anywhere in the UK or Europe. Buying a set of dentures is like buying a car or a coat You can get a ford or a Ferrari, it all depends on your budget and how committed you are to your smile and oral health you are. We produce dentures to suit every budget and at each price range you will get the best possible outcome. You need to look after them but they are subject to our standard 12 month warranty. If you have a Smileworks Membership you can increase this warranty to two years. Smileworks dental memberships are available here.